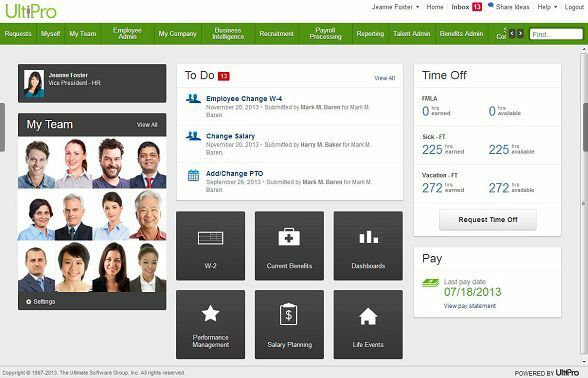 Ultimate Software’s cloud-based UltiPro human resources software helps simplify and improve work experiences for all employees. Organizations can easily manage global people data and processes, and ensure their people feel engaged and productive from day one. 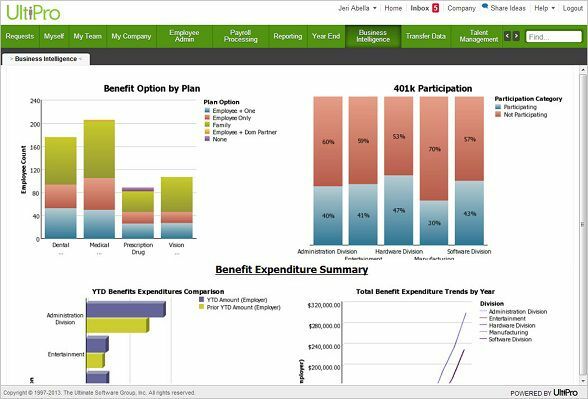 The software enables users to deliver personalized recruiting and onboarding experiences, guide employees through important benefits choices, simplify complex payroll computations, efficiently manage time and attendance needs, support continuous performance management and development, and build proactive succession plans for the future. Most importantly, UltiPro’s solutions are supported by powerful business intelligence and reporting to help companies drive smarter, people-focused business results. Ultimate Software operates with a commitment to always put people first. This philosophy is the underlying fabric for Ultimate’s corporate culture, its partnership with customers and the strategy when designing its solutions. Ultimate has been ranked consistently on FORTUNE’s list of the 100 Best Companies to Work For since 2012, which rates U.S. companies with more than 1,000 employees that use smart people management strategies to develop highly productive and satisfied workforces. 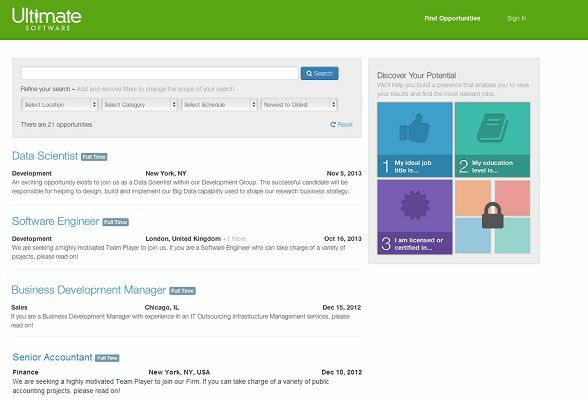 Ultimate Software has also received numerous accolades from industry influencers. Ultimate was recognized as a Leader in Nucleus Research’s HCM Technology Value Matrix 2015 and UltiPro Recruiting earned the 2015 Brandon Hall Group Excellence in Technology Award.